Support a Small Business with a Quick Vote! 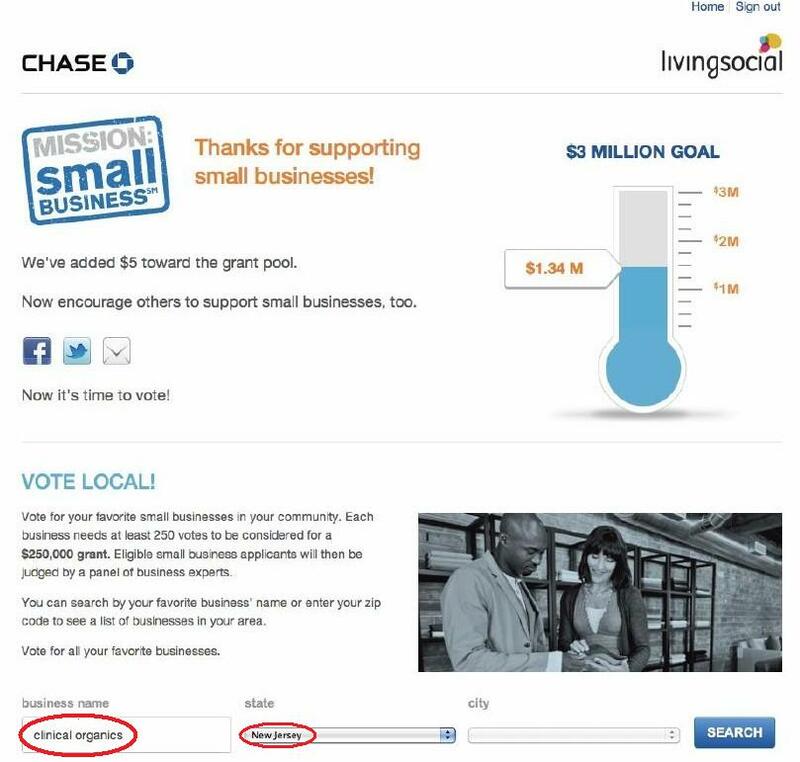 Chase Bank and LivingSocial have joined together to create Mission: Small Business to help small businesses across the US by awarding up to 12 individual $250,000 Grants. With this money, business owners can grow by expanding, upgrading equipment, or improving a product or service. A local business to me, Clinical Organics, has a wonderful organic skincare line and has sent in an awesome business plan for this competition. We would love if you could take one minute to show your support with a quick vote! Find the search box and type "Clinical Organics" and then select "New Jersey", then "Search"
Click vote, and you're done! I included a screenshot above so you can easily see where the search boxes are.